​Atlético Madrid manager Diego Simeone singled out versatile midfielder Koke for special praise following his side's 1-1 La Liga draw with Sevilla on Sunday. The feisty encounter saw both sides lose ground on league leaders Barcelona as Sevilla took the lead midway through the first half, with in-form forward Wissam Ben Yedder finishing with aplomb. Atléti pulled level on the stroke of half-time, via a sumptuous Antoine Griezmann free-kick. Despite a spirited second half, neither side was able to secure a winner. Speaking after ​the match, via the club's ​official website, Simeone lauded Koke's performance, claiming: "You could see that they (Sevilla) were hurting us down their right flank. We changed Koke's position because tactically he's extraordinary. He did a great job in a position he's not used to. After that, everything changed." Koke certainly had an impressive afternoon, winning seven tackles throughout the course of the match. In a particularly spicy match, the Spain international kept a cool head, while seven of his teammates were cautioned by the referee. The 26-year-old has been with ​Atlé​ti for his entire career to date, proving an invaluable asset given his ability to play across the midfield. 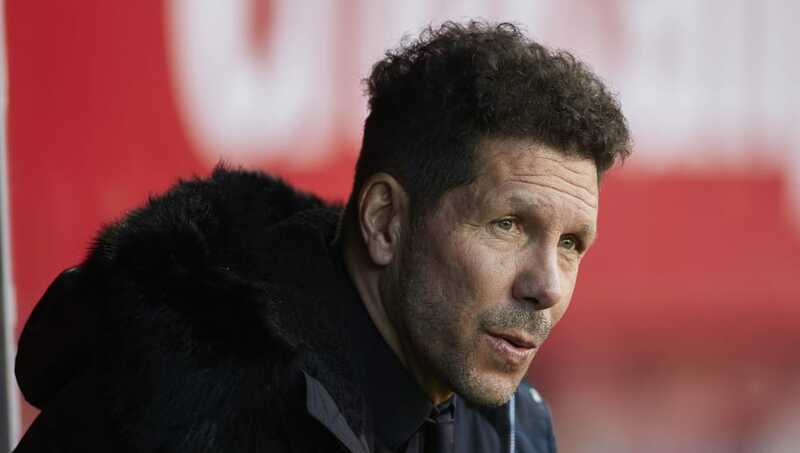 Discussing the performance overall, Simeone said: "It was a great game. Sevilla are very strong at home and there were periods in which both teams dominated. "We didn't attack very well in the first half but we improved greatly after the break. I think the way in which we reacted deserves praise." While Los Colchoneros will feel glad to have earned a point given Sevilla's dominance of the match, they will be frustrated to have lost ground in the title race, following ​Barcelona's 2-1 win over Getafe. The Catalan giants are now five points clear at the top of the table and play their next two ​La Liga matches at Camp Nou.